Non-surgical cosmetic procedures are a beneficial option for those who are not good candidates for surgery or who desire a less invasive alternative. At Best Aesthetic Surgery, our Royal College certified plastic surgeon is pleased to offer a variety of minimally invasive skin treatment options utilizing state-of-the-art technology by InMode Aesthetic Solutions. The majority of our minimally invasive treatments are considered “lunch time” procedures, since they can be completed in a relatively short time period and have little to no downtime. Read more about our different treatment options below that can help you address your aesthetic concerns and ultimately age more gracefully. 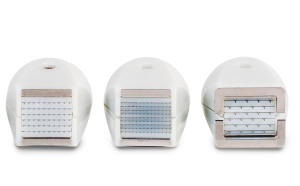 Diolaze™ for hair removal is highly effective at treating even the most stubborn hairs and is considered both comfortable and safe. 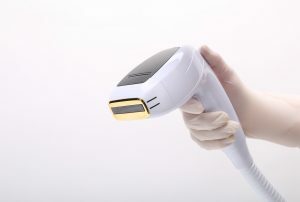 The high speed diode sapphire laser technology has adjustable energy levels to treat different skin tones while preventing damage of the surrounding tissue. Popular areas treated with Diolaze™ include the arms, underarms, stomach, bikini line, and legs. Most patients notice immediate improvement in the treated area after only a few sessions. To achieve optimal hair removal results, multiple treatments are typically recommended. On average, patients need four to six sessions, each spaced four to 10 weeks apart. The Lumecca™ device utilizes intense pulsed light (IPL) energy to treat a variety of skin types and conditions. It has proven effective on both light and dark skin and can treat cosmetic concerns like abnormal pigmentation (including age spots and sun damage), superficial vessels (including spider veins and telangiectasia), and photo damage. 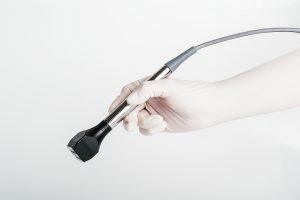 One to three treatment sessions are typically recommended, which is a major benefit compared to other IPL devices, which require more than double this. Treatment with Lumecca™ is an efficient process that usually has minimal pain or discomfort. Fractora™ has shown to improve the skin’s tone and texture, addressing common concerns like wrinkles, acne scars, discolouration, and more. The device works by using fractionated radiofrequency (RF) energy, which gently heats the various depths of skin in the target area to stimulate collagen, while micro-pins work to help resurface the skin. With Fractora™ the deep layers of the skin are revitalized, causing wrinkles to smooth and an overall improvement in skin appearance. Commonly treated areas include the upper and lower eyelids, smile lines, forehead, cheeks, mouth, and neck. Although some patients may begin to see their results right after treatment, the most noticeable results are typically seen at two weeks, and they should continue to improve for the next three months. Most patients require one to four sessions to reach an optimal outcome. 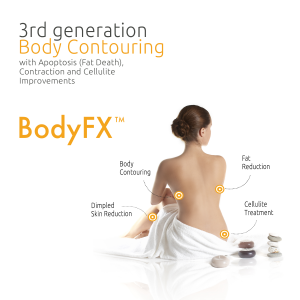 BodyFX™ is designed to improve body contour by targeting unsightly bulges. It also targets cellulite, improving the appearance of these problem areas better than any other technology we’ve seen! It is a non-surgical alternative to liposuction and is the first device of its kind to specifically target fat while also tightening collagen and skin. BodyFX™ works by sending controlled radiofrequency (RF) pulses to heat deep into the target area with the addition of vacuum pressure to massage the area. This causes the skin and tissue to contract and tighten. The body shaping procedure is most effective on the abdomen, love handles, hips, and thighs. To get the best results from BodyFX™, patients are typically recommended to undergo weekly sessions for eight weeks. The target area should gradually begin to improve over the first few sessions. Forma™ technology is designed to tighten skin, smooth wrinkles, and contour the face, neck, and body. The procedure is virtually painless and entails radiofrequency (RF) energy being sent to heat the target area. This stimulates the production of new collagen, improves skin elasticity, and also diminishes the size of fat cells, providing the added benefit of contouring. As a result, irregularities are smoothed, and the skin is better toned. Forma™ Plus can be performed on all skin types and takes about 30 minutes to an hour to complete. Most patients require six to eight treatment sessions to achieve optimal results. They can opt to undergo follow-up sessions to maintain their positive outcome. To learn more about our minimally invasive treatments, please contact us to schedule a consultation with Dr. Best.